The Declaration on the Rights of Indigenous Peoples (the Declaration) affirms the minimum standards for the survival, dignity, security and well-being of Indigenous peoples worldwide and enshrines Indigenous peoples’ right to be different. The Declaration was adopted by the General Assembly of the United Nations in September 2007. This was the culmination of more than 20 years of negotiation between the Indigenous peoples and governments of the world. The Australian Government announced its support for the Declaration in 2009. 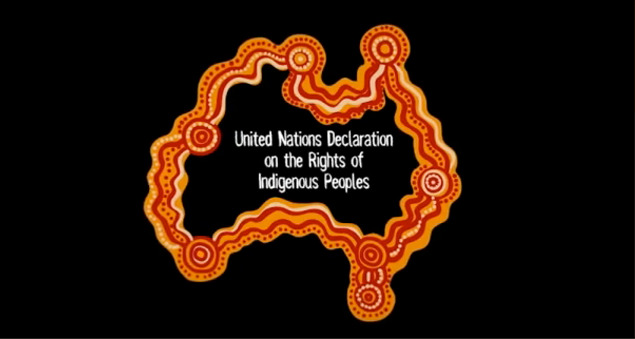 The Declaration is particularly significant because Indigenous peoples, including Aboriginal and Torres Strait Islander peoples, were involved in its drafting. The Declaration is the most comprehensive tool we have available to advance and protect the rights of Aboriginal and Torres Strait Islander peoples. I use the Declaration as my guide as Social Justice Commissioner. The Aboriginal and Torres Strait Islander Social Justice Commissioner, June Oscar AO.